CUA Health was started in 1976 and has been caring for Australians’ health for over 40 years. The fund is part of CUA Group, the largest credit union in Australia. No shareholders means that profits are reinvested into the fund’s services, which is good news for members. CUA Health is part of CUA Group, the largest credit union in Australia. CUA Health is above industry standards for medical services with no gap, and medical services with no or known gap. CUA Health policyholders can enjoy member discounts at a range of optical stores, including OPSM and Specsavers. CUA Health offers Hospital Cover, Extras Cover, and Packaged Cover. 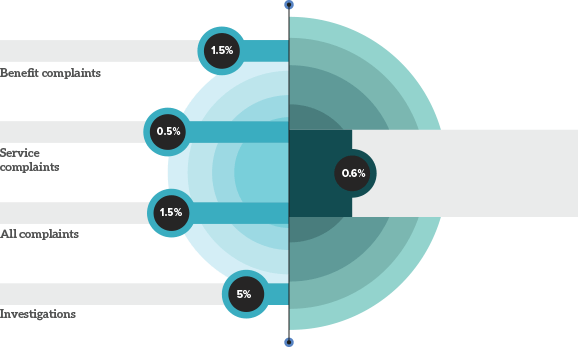 Members can choose their own healthcare provider and can benefit from the Access Gap Cover scheme, which helps reduce or remove out-of-pocket medical expenses. Children are covered on Family or Single Parent cover until they turn 23 (25 if studying full time). There is also no excess for children admitted to hospital. All CUA Health hospital cover plans meet the criteria for avoiding the Medicare Levy Surcharge and Lifetime Health Cover loading. Essential Hospital: Ideal for young, healthy people with hundreds of treatments covered. $500 excess. Standard Hospital: Covers most inpatient hospital treatments. $500 excess. Premium Non-obstetrics: Comprehensive hospital cover for people who aren’t planning to have children. Excludes pregnancy cover, $500 excess. Premium Hospital: Comprehensive top-level hospital cover with no exclusions. Choose from $0, $250, or $500 excess. CUA offers three levels of extras cover. Bonus dental checkups are included with some levels of cover. Essential Extras: Limited low-cost cover that complements hospital cover. Covers most common extras services. Includes general dental, optical, physio, and emergency ambulance. Classic Extras: Expanded cover for a wider range of services and larger annual limits. Provides further cover for some natural therapies and wellness services, as well as additional dental benefits. Total Extras: Comprehensive extras cover with high annual limits and benefits. Some annual limits are increased over time and there are additional dental benefits. CUA customers can mix and match hospital and extras cover to create their preferred package. CUA Health has also developed a special package with a unique level of cover. It’s called Healthy Start Package. This cover is designed for young, fit, healthy people who want good value health cover. It covers essential hospital services and common extras services, along with a Healthy Start Bonus to increase extras benefits. 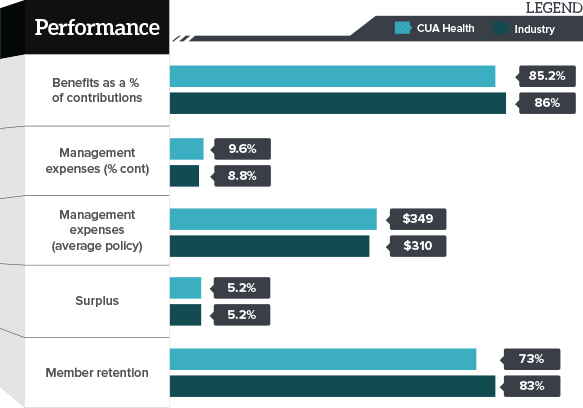 According to the Private Health Insurance Ombudsman (PIHO), here’s how CUA Health stacks up against other funds in the industry. CUA Health has a good online system for making claims, giving members more flexibility when claiming on a service. If you’re treated in a hospital that participates in CUA Health’s agreement scheme, the bill will be sent straight to CUA. If your doctor participates in the Access Gap cover scheme, the bill will be sent straight to CUA. If your doctor is not part of the Access Gap cover scheme, the bill will be sent to you. You then go to Medicare with the bill to make a claim from them. After that, complete a claim form and send it, along with the Medicare Statement of Benefits, to CUA. $200 cashback on a hospital and extras policy plus your first month free. 4% direct debit discount on premium payments when paying from a CUA Everyday Account.